You are here: Home » News » KT20-120 Industrial Hydrogen Generator Available Directly! KT20-120 Industrial Hydrogen Generator Available Directly! The KT20-120 Industrial Hydrogen Generator / Torch is listed for direct internet sale on Ebay for the first time. 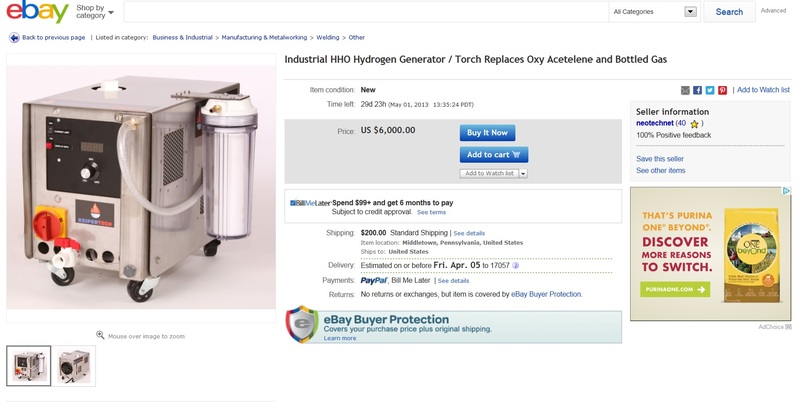 Keiper Technology is partnering with internet giant Ebay to offer the direct internet sale of it’s KT20-120 Industrial Hydrogen Generator / Torch System for the first time ever. 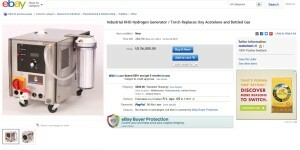 While the KT20-120 Industrial Hydrogen Generator has been available for purchase by contacting Keiper Technology directly for some time now, it has not been listed for direct sale until now. “The KT20-120 offers an exceptional value to our customers who are looking for an industrial hydrogen generator. We wanted a way to put our units directly into the hands of our customers so that they can experience the advantages of Keiper Technology’s Industrial Hydrogen Generating Systems for themselves!” says founder and developer Tom Keiper. In-deed at a $6000 USD introductory price tag, the KT20-120 Industrial Hydrogen Generator delivers 2x the performance at less than half the cost, when compared to even its strongest competitors whose industrial hydrogen generator systems retail around $16,000.